Overview: Want to get your three wishes? Then, play Aladdin's Wishes and the Genie within the magical lamp will make all your wishes come true. 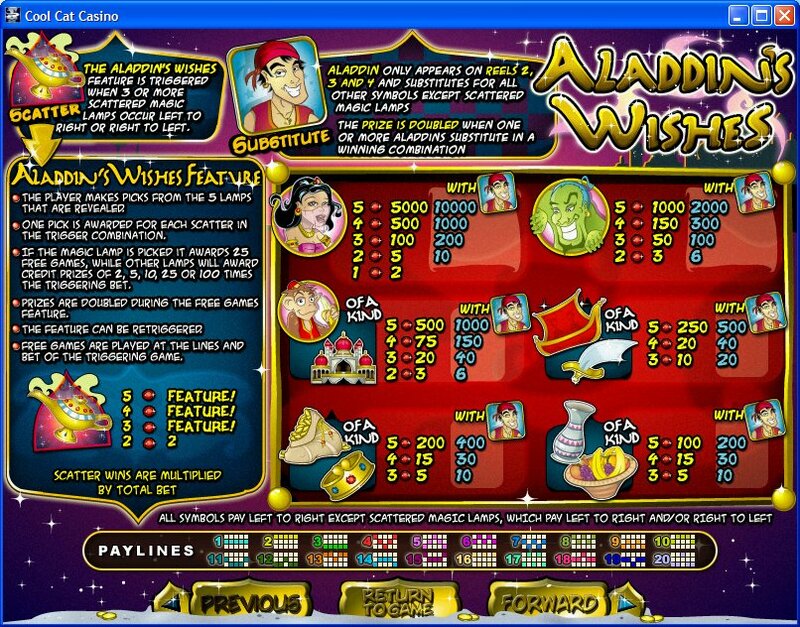 Aladdin's Wishes is a popular 25 line slot game which gives players the option to bet as little as one cent and as much as one hundred and twenty five dollars. The wild card is the Aladdin symbol and the scatter is represented by the Magic Lamp. To enjoy this magical game simply choose the betting amount and the number of lines to play. Use the Autoplay feature to set the game to play through a preset number of games without pressing anything. When he discovered the magic lamp, Aladdin's wishes came through (with the help, of course, of an all-powerful genie). When you play this game, you'll be well on your way to unlocking your own genie and making your own wishes come true! The Magic Lamp is the symbol you need in order to win extra and to unlock the Aladdin's Wishes bonus feature. Inside the bonus round, you can win prizes ranging from 2 to 100 times your triggering bet! 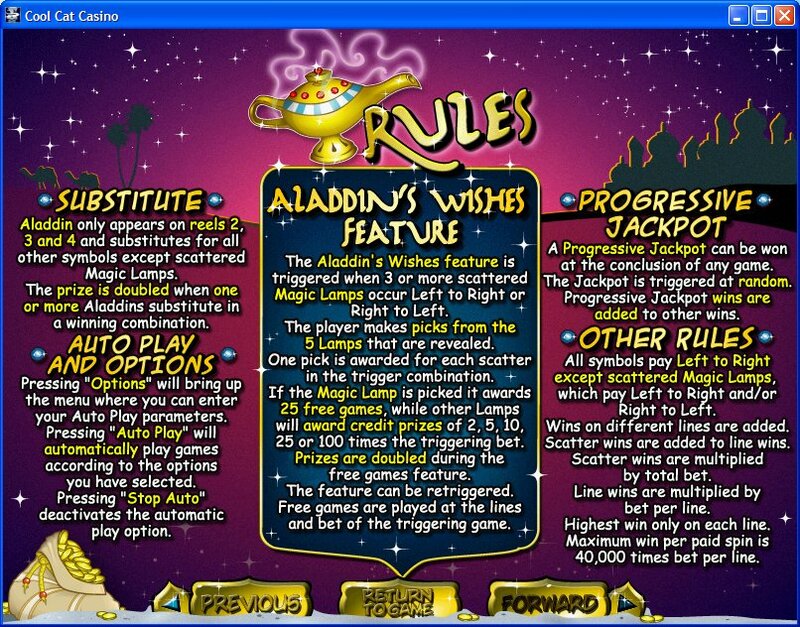 During the bonus feature, if you stumble across the Magic Lamp you will be awarded with 25 free games. Get ready to an adventure like one that only happens in the Arabian Nights! 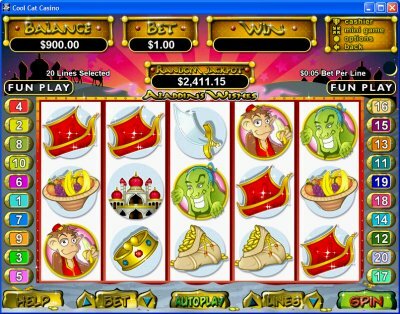 Similar Slots: If you like Aladdin's Wishes, you might like these other slot machines from RTG: Henhouse, Naughty or Nice: Spring Break, Roberta's Castle, Shopping Spree, Tiger Treasures.